'Our Ancient Woodland' Interview with the Woodland Trust. Plant Consciousness caught up with Lead Campaign Manager, Kaye Brennan and Conservation Advisor, Kay Haw to discuss the latest change in the law that now protects our ancient woodland and what that actually means...and what the loopholes are! Plus they discuss the Tree Charter. Join the Woodland Trust and a host of plant teachers and healers at the Plant Consciousness 5th Anniversary. As a former land surveyor, Kay witnessed first-hand the loss of nature from the UK as it was consistently bulldozed and marginalised. Determined not to be a cog in the destructive machine of ‘progress’ and gaining a profound connection with the planet, she swapped sides and swore to help protect the natural world. 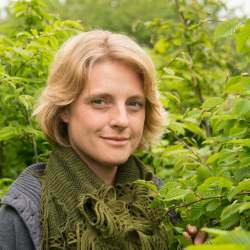 In her role with the Woodland Trust she strives to conserve, share knowledge, inspire and connect people more deeply to trees and woods. As editor of the Trust’s Wood Wise publication, she strives to bring expert contributors together to help convey the importance and wonder of various key conservation topics and share best practice.